By buying this product you can collect up to 45 loyalty points. Your cart will total 45 loyalty points that can be converted into a voucher of $0.45. 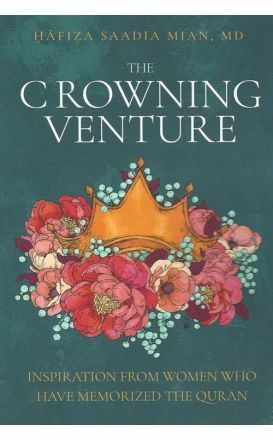 The Crowning Venture reminds us that memorizing the Quran is not an achievement to be conquered, it's a journey to savor. 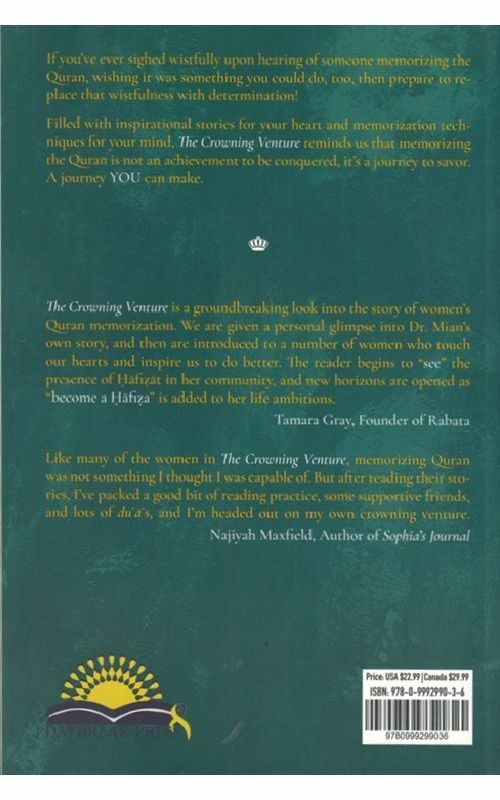 If you've ever sighed wistfully upon hearing of someone memorizing the Quran, wishing it was something you could do, too, then prepare to replace that wistfulness with determination! Filled with inspirational stories for your heart and memorization techniques for your mind, The Crowning Venture reminds us that memorizing the Quran is not an achievement to be conquered, it's a journey to savor. A journey YOU can make.